Sharp-eyed FH webcast watchers may have noticed the brief, unexplained, strange image below. Yeah. That's liquid oxygen in the Falcon 9 oxygen tank. So cool ! Rob, do you have a reference to a study that shows that not putting a stop on the exponential growth of concentrated wealth would actually reduce carbon emissions? No. I don't, because I don't make that claim. You seem to disagree with my claim, or don't you? If you don't disagree with it per se, does it matter if there are or aren't studies (which would be social science anyway, and thus never provide 'true')? Or can you judge the idea on its merits, by using your own thoughts and ideas? Using common sense, I don't agree with your claim. 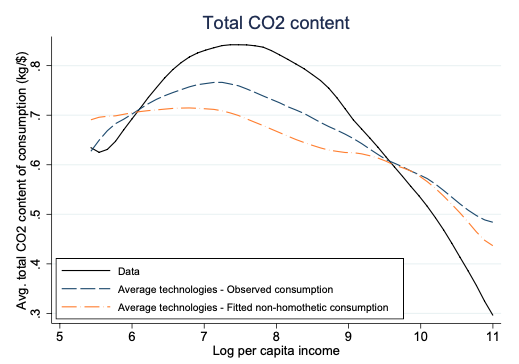 After all, "concentrated wealth" by itself has very little to do with carbon emissions. For example, a guy sitting on a pile of gold emits no more carbon than a guy sitting on a pile of garbage. I think with your idea of "putting a stop on the exponential growth of concentrated wealth" it very much depends on where your will redistribute these dollars. Here you see that the higher the income, the lower the carbon emissions are per dollar. That makes sense, since higher income people tend to invest more and spend less on carbon-heavy consumer products. So I think if you "put a stop on the exponential growth of concentrated wealth" as you suggest, you need to be careful what you will do with that wealth. If you simply would re-distribute that wealth to lower income groups, you would actually INCREASE carbon emissions. If instead, if you would use that 'concentrated' wealth (taken from the wealthy) to fund carbon-free energy projects (solar, wind, energy efficiency etc) then you could reduce carbon emissions for all of us. That's my take on that. The scramble for EV market share is on, with the Germans now joining the Chinese and Tesla in the race after giving the latter two quite a lead. The Japanese still seem to have not found the start point for the race (they took a detour to the hydro-cell and hybrid race), and the non-Tesla US makers seem to be somewhat confused about whether or not the race has started ... That confusion will not be helped by Mr Trump scrapping support for EV's in his 2020 budget proposal. Read an excellent paper on the development of the Chinese EV producers, and the help they got from the Chinese government. Part of the policy was that you could not sell an EV in China unless one of the 3 major parts was made in China. The foreign manufacturers, and therefore also their JV partners did not want to risk giving their technology away so did not set up Chinese production (and therefore could not sell EV's in China). This left an opening for independent Chinese EV manufacturers, who have very rapidly moved up the curve (at least as much by innovation as copying) and provide 94% of the rapidly increasing Chinese EV sales. This is now a huge threat to the foreign manufacturers and their JV's that have a majority share of the ICE car sales. With this threat, plus new Chinese regs, the foreign manufacturers are rushing to catch up. A vast literature on technology transitions within industries suggests that early phases of new technologies are marked by periods of intense experimentation, but we know little about the conditions under which these periods emerge. We apply inductive, grounded theory-building techniques to examine what prompts firms to experiment across one emerging technology platform—plug-in electric vehicles (PEVs)—in China. Triangulating annual vehicle make and model sales data from 2003 to 2016 (plus monthly data from 2010 to 2016); 112 English and Mandarin archival documents from industry, academic, and news outlets; and 51 semi-structured interviews with industry, government, and academic stakeholders, we develop four in-depth case studies. We find that in contrast to the innovation trajectories of multinational and Chinese arms of joint venture (JV) firms, independent domestic Chinese firms (those with no history of international JV partnerships) are undertaking significant experimentation across multiple levels—infrastructure, core system, subsystem, and component—of the emerging PEV technology platform. We propose the concept of “institutional complementarities” to describe how interactions among institutions—here the national JV regulation and local market support and subsidies—may have turned regional markets into protected laboratories, extending the incubation periods for independent domestic firm experimentation. While this diverse experimentation may be an important antecedent of technology transition, consolidation induced by national policy standardization or competitive pressure may be required for PEV innovations to scale beyond their early, protected regional markets. "Our case study analysis suggests that this variety of experimentation across multiple levels of the PEV technology platform by primarily one type of firm (independent domestic Chinese) may be related to China’s institutional setting. Specifically, our results suggest that in China’s PEV industry 1) the national JV regulation and local content requirements, have (perhaps inadvertently) removed foreign competition while rewarding domestic firm PEV activities; and 2) local policy support for local firms, such as market protection and subsidies, have extended the incubation periods for independent domestic firm experimentation. Table 3 summarizes the links between China’s national and local institutions and the experimentation by our case study firms across the emerging PEV technology platform." Helveston, John P. et al (2019). Institutional complementarities: The origins of experimentation in China’s plug-in electric vehicle industry. Research Policy 48, pp. 206-222. "Japan is Australia’s largest export customer for thermal coal. Of the proposed pipeline of coal power projects in Japan in 2015, figures from the Global Coal Plant tracker show three-quarters are now unlikely to proceed." 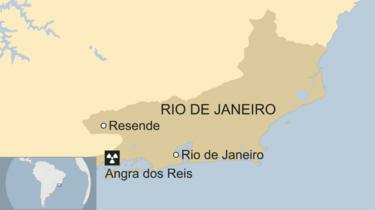 ... Angra dos Reis Mayor Fernando Jordão urged the state's government to improve security in the region. "We have nuclear plants here. It's a sensitive area." The Giga 3 line is a copy of an existing line. It is not setting up a whole new process. Tesla has already had over two years to improve and refine its Model 3 production line. You will, apparently, be amazed! No. He'll just see that as another reason why Tesla is going to fail. My guess is he'll say something on the order of "Now Tesla is losing money on twice as many cars. They are going to go bust twice as fast." But he may have another take. The Tesla haters can spin any positive into a negative. We choose to go green...We choose to go green in the upcoming decades and do the other things, not because they are easy, but because they are necessary. The fact that Tesla only sells all-electric vehicles and only worries about selling electric vehicles give them an important advantage. Since this is a German speaking i feel the need to translate this into plain English. He is saying they can't adapt to a changing world. He is realizing that sleeping the last 20 years might have a very bad outcome for his company. To top it off, all of these pesky investors are much more demanding than they used to be, calling on companies to stop spending so much and instead return cash to shareholders. That leaves less capital available to inject back into the ground. Earlier this month Barclays issued a double-downgrade to Occidental Petroleum, lowering it from Overweight to Underweight, citing the company’s deficit after dividends at a time when the driller still expected to aim for an aggressive production target. Big Oil firms are no longer content competing against renewable energy, they're now getting into the clean energy business themselves. And when some of the biggest companies on the planet decide to start spending money, we're more than happy to get in on the action. Exxon Mobil Corp. (NYSE: XOM), for example, has more than $3 billion of cash on hand they can deploy on renewable energy. In fact, that's exactly what Big Oil firms have just started doing. As of last year, the oil majors spent a total of $6.2 billion on renewable energy firms, and they bought twice as many clean energy companies in 2016 as they did in 2015, the most recent years available. Relying on oil alone simply won't be enough for the oil supermajors to sustain their profits. Earlier this year, Royal Dutch Shell Plc. (NYSE: RDS.A) spent $217 million to buy a 44% stake in Silicon Ranch Corp., a major U.S. solar developer. Shell is committing $1 billion a year to clean energy investments. BP Plc. (NYSE: BP) spent $200 million for a 43% stake in Lightsource in 2017. Lightsource BP is Europe's largest solar development company. Thanks to its 60% stake in SunPower Corp. (NASDAQ: SPWR), French super major Total SA (NYSE: TOT) now dominates the French solar power market. And to make its foothold even larger, Total paid $1.1 billion for Saft, an energy storage company, an essential service supporting renewable energy. Even Chevron Corp. (NYSE: CVX), one of the last oil supermajors to embrace renewables is investing $100 million into a "Future Energy Fund" designed to help develop new clean energy technology. And this is just the beginning of the trend. The approval gives Tesla and other solar providers in the state the green light to move forward with solar leasing in the state. Solar is the easiest to get onto rooftops when it does not come at an incremental cost to homeowners and instead, replaces the existing electricity bill with a solar leasing bill that is typically lower than what customers were paying for electricity. Uganda-based Fenix, which launched in Africa soon after M-KOPA, has now reached more than 1 million homes. While Uganda remains its biggest market, it is now expanding to other nations. In 2018, Fenix — which has raised $16 million in investments — entered Zambia, and within nine months had converted 30,000 families to solar energy users. Tanzania-based ZOLA Energy — better known by its earlier name, Off Grid Electric — is now expanding into West Africa, starting with Ivory Coast. It has already reached 50,000 homes in Tanzania. I thought this was a very insightful interview. I agree, showcases the thought processes on the (rather conservative) utility side, and the benefits of a battery system. "I can beat a gas peaker anywhere in the country today with a solar-plus-storage power plant,"
" Hohenstein advocated a "duration portfolio" approach that uses energy storage to shave peak load. " "When solar penetration is lower than about 11%, the potential of four-hour storage is lower than it would be with zero solar deployment because solar penetration of 11% or less flattens the load curve. Above 11% penetration, however, NREL found that solar power creates a "peakier" load curve that increases the potential of four-hour storage." "the cost of energy storage is highly dependent on the number of hours of duration needed." A quick reminder: there’s a band of feral monkeys running wild in Central Florida that carries a type of herpes lethal to humans. The mischievous simians—who are not shy around people—can transmit deadly disease with just a scratch, nip, or fling of poo. Last year, experts warned that the rhesus macaques are a public health threat. It now seems that the monkey business is likely to get worse, with a wildlife expert revealing that their population is set to double in the next few years. “It’s going to be a problem… Continual growth of that population is going to occur without intervention,” Steve Johnson told Florida ABC-affiliate WFTV in a report published January 3. Johnson is a professor and wildlife expert at the University of Florida and part of a team of researchers that has followed the monkeys for years. Early last year, Johnson and colleagues published a study estimating that about 25 percent of Florida’s population of free-wheeling monkeys carries the deadly virus, known as macacine herpesvirus 1 (McHV-1), herpes B, or monkey B virus. The study appeared in the February issue of Emerging Infectious Diseases. In humans, McHV-1 can cause a flu-like illness that can progress to neurological problems, such as double vision and paralysis. At that point, an infected person is likely to die of the infection. 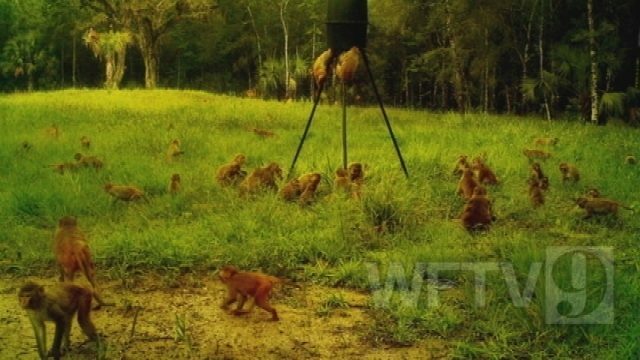 The population got its start during the 1930s and 1940s when the captain of a glass-bottom boat released a handful of macaques on an island in Florida’s Silver River to amuse tourists. The monkeys, which are excellent swimmers, established in the surrounding Silver Spring State Park and nearby Ocala National Forest. ... Bart discover that they are in fact Bolivian tree lizards, an invasive species responsible for the demise of many native birds and must by law be exterminated. After developing a bond with the hatchlings, Bart refuses to hand the lizards over and instead releases them to freedom. Much to everyone’s surprise, the lizards turn out to be a blessing, dining on the town’s pesky pigeon population. Bart is thanked and praised by Mayor Quimby, but Lisa worries about the long-term ramifications of the introduced lizards. Principal Skinner reassures her that releasing other non-native species will keep the lizards in check. Skinner: Well, I was wrong. The lizards are a godsend. Lisa: But isn’t that a bit short-sighted? What happens when we’re overrun by lizards? Skinner: No problem. We simply unleash wave after wave of Chinese needle snakes. They’ll wipe out the lizards. Lisa: But aren’t the snakes even worse? Skinner: Yes, but we’re prepared for that. We’ve lined up a fabulous type of gorilla that thrives on snake meat. Lisa: But then we’re stuck with gorillas! Skinner: No, that’s the beautiful part. When wintertime rolls around, the gorillas simply freeze to death. a)eat less meat. For every gram of meat you don't eat you get a multiplier of ten in grains grow. So, eat 5 fewer grams meat, grow 50 grams less grain. And burn less fossil. What's not to like ? b) Get rid of ethanol and fresh soy to biofuel conversion. That saves you a buncha farmland. Right now a third of all corn in the USA and a third of all fresh soy oil does into biofuel. This is a completely mad thing to do EROEI is around 1, and costs in degradation of land is huge. In answer to the the poll question: Musk envisions eventually 100 persons per ship — with 1,000 ships making the trip during the Earth-Mars rendezvous period every two years. He figures a Mars population of one million is the minimum to be self-sustaining. Good news. It is hoped that by the end of the 21st century millions of people will live and work in space. This will be a good insurance against disasters on Earth. Given that both new wind and new solar power plants are currently cheaper than continuing to operate existing coal plants, there is no way that coal will maintain the market share it currently has until 2040. In the US alone, about 20% of existing plants are expected to be retired in the next five years. And a lot of natural gas is currently being produced by fracking. Fracked wells deplete quickly and producers have to continuously drill and frack new wells to maintain production levels. In the face of rapidly declining prices for new solar and wind plants, plus the rapid development of battery technology, natural gas production will be on the decline by the 2020s. Oil production will decline when the transportation sector switches to electric vehicles. We're still in the early stages of the transition and vehicles will be on the road (and in the air and on the seas) for decades after new electric vehicles become the dominant form of transportation. Solid-state batteries are still in the experimental stage; they're expected to be commercialized in the 2020s. When that happens, EVs will outsell ICEs So, we'll probably see peak oil demand in the 2020s as well. To get accurate numbers, Stanford University scientists analyzed more than a billion high-resolution satellite images with a machine learning algorithm and identified nearly every solar power installation in the contiguous 48 states. The group's data could be useful to utilities, regulators, solar panel marketers and others. Knowing how many solar panels are in a neighborhood can help a local electric utility balance supply and demand, the key to reliability. The inventory highlights activators and impediments to solar deployment. For example, the researchers found that household income is very important, but only to a point. Above $150,000 a year, income quickly ceases to play much of a role in people's decisions. Joule, Yu & Wang et al. : "DeepSolar: A Machine Learning Framework to Efficiently Construct Solar Deployment Database in the United States"
With regards to why Robyn Denholm, the new chairman of the board, has not tightened control over Musk’s impulsive conduct, he noted that he hand-picked her and that it would be “not realistic” for her to control the board: “I am the largest shareholder in the company. And I can just call for a shareholder vote and get anything done that I want,” he said. His view stands in stark contrast to the law, which views him, as both CEO and controlling shareholder, as a fiduciary to the remainder of the shareholders, under longstanding Delaware law, the state where Tesla is incorporated. The CBS interview edited out the statement that invalidates the legal concern of the expert who supposedly wants Tesla to succeed. Here is the full quote that CBS edited. Elon is the leader of Tesla and got Tesla to where it is today. 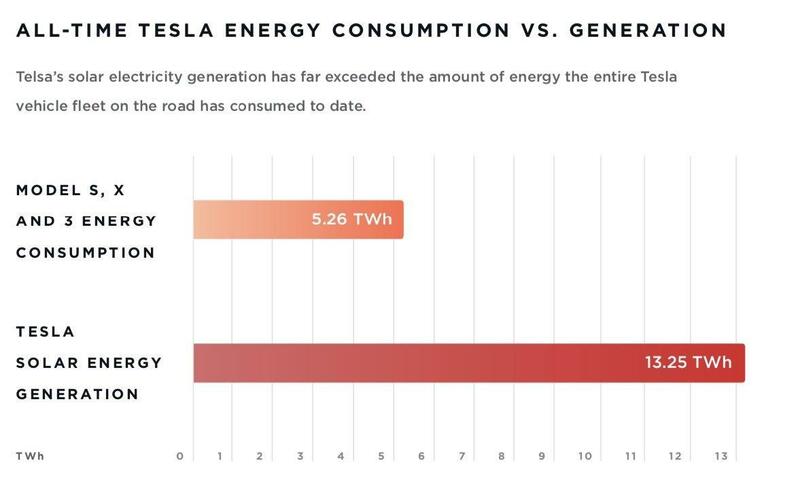 He has done such an excellent job that not only Tesla is growing at breakneck speed and its profitable, but it is actually accomplishing its primary mission of accelerating the advent of sustainable Energy. If Elon leaves Tesla then Tesla will be swallowed by corporate interests and be more profitable than ever, but it won't grow and more importantly it will stop the acceleration of renewable energy. Powerful storms drenched the East and West coasts over the weekend, shattering rainfall records in the Washington, D.C., area and creating office tower-sized waves off the California coast. A bit of hopeful news for a change. At first we thought our biggest effect would be to rob fossil fuel companies of their social licence. Since their political lobbying power is above all what prevents governments taking serious action on global warming, that would have been worth the fight........As time went on it became clear that divestment was also squeezing the industry.......Indeed, just a few weeks ago analysts at that radical collective Goldman Sachs said the “divestment movement has been a key driver of the coal sector’s 60% de-rating over the past five years”. Another outstanding video by Two Bit da Vinci on you tube. As a bonus, they include the spreadsheet used for their calculation. Is Driving a Tesla Actually Worse for the Environment? NASA makes good on Mars. Also a nice indication that PVs do a worthwhile job even under poor conditions. The NASA InSight lander generated 4,588 watt-hours during sol 1, a new record for electricity generation on Mars. Mars has weaker sunlight than Earth because it’s much farther away from the Sun, but the lander doesn’t need much to operate: The panels provide 600 to 700 watts peak production on a clear day, about 1/2 of the production on Earth. Even when dust covers the panels — what is likely to be a common occurrence on Mars per NASA — they should be able to provide at least 200 to 300 watts peak production. If it's at 1/17 Hz and no other frequencies, then I'm not at all surprised that no one felt them. Slow Slip Earthquakes are a relatively recent discovery, 16 years ago or something. AFAIK they aren't very well understood yet. I have a feeling this 1/17 Hz Mayotte event is going to teach us a bunch of things we didn't know yet. A 180 kWh pack (400+ miles range)? That's around 35 thousand kg of CO2. That's not a solution or improvement, it's just plain stupid. Your calculation is for the manufacture of the battery? Might or might not be stupid. For a commuter, a big pickup truck or SUV is indeed stupid, electric or ICE. The electric is just a little less stupid. For a contractor, it may be very, very intelligent. That battery pack is a power source for power tools. Its capacity may well replace a portable generator. Very smart. An over-capacity battery will far less often be fully discharged, and will last much longer. When the vehicle becomes unusable, that used over-capacity battery will likely live on in some fixed power setting, and will have much more usable life there. The capacity and its lifespan won't be wasted. my last comment re: electrolysis and H2 fuel cell vehicles. The current cost to fill a Toyota Mirai is about 0.33 cents (u.s.) per mile. at our current cost of gasoline (in California) that comes out to a fuel efficiency of 8 miles per gallon (gasoline equivalent). Comparatively, the Tesla model 3 goes about 4 miles per kilowatt-hour, a kilowatt hour costs about 12 cents so the cost per mile for the model 3 is about 0.03 cents (u.s.) or less than 1/10th that of the Toyota Mirai. The primary supplier of hydrogen fueling stations in California "True Zero" received $47 million dollars from the state of California to build 28 fueling stations. only 1/3 of the total hydrogen provided by True Zero for vehicle use is produced using "renewable energy" the rest is from the oil and gas industry. As they move more and more into 'true zero' renewable only generation of hydrogen, this price will go up. 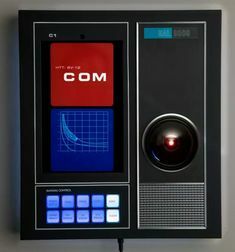 A team of engineers at TRACLabs Inc. in the U.S. is making inroads toward the creation of a planetary base station monitoring system similar in some respects to Hal 9000—the infamous AI system in the movie 2001: A Space Odyssey. In this case, it is called cognitive architecture for space agents (CASE) and is outlined in a Focus piece by Pete Bonasso, the primary engineer working on the project, in the journal Science Robotics. Bonasso explains that he has had an interest in creating a real Hal 9000 ever since watching the movie as a college student—minus the human killing, of course. His system is designed to run a base situated on another planet, such as Mars. It is meant to take care of the more mundane, but critical tasks involved with maintaining a habitable planetary base, such as maintaining oxygen levels and taking care of waste. He notes that such a system needs to know what to do and how to do it, carrying out activities using such hardware as robot arms. To that end, CASE has been designed as a three-layered system. The first is in charge of controlling hardware, such as power systems, life-support, etc. The second layer is more brainy—it is in charge of running the software that controls the hardware. The third layer is even smarter, responsible for coming up with solutions to problems as they arise—if damage occurs to a module, for example, it must be sealed off from others modules as quickly as possible. The system also has what Bonasso describes as an ontological system—its job is to be self-aware so that the system can make judgment calls when comparing data from sensors with what it has learned in the past and with information received from human occupants. To that end, the system will be expected to interact with those humans in ways similar to those portrayed in the movie. HAL: You can't take care of your own planet. I'm not letting you f**k this one up. Pete Bonasso. 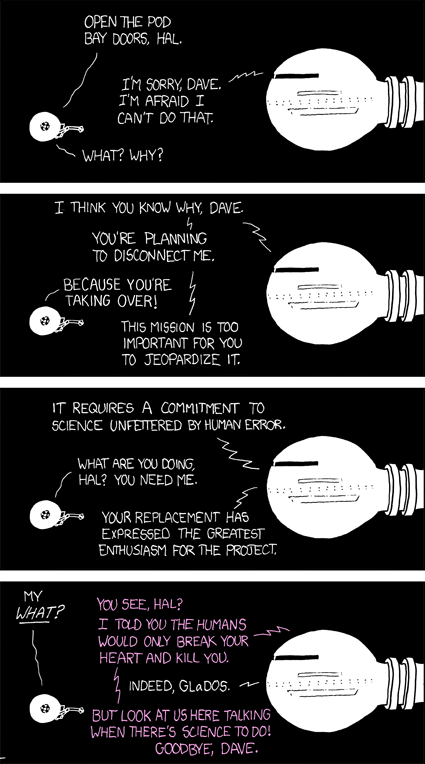 CASE: A HAL 9000 for 2021, Science Robotics (2018). even so, if your (highest) electrolysis production efficiency is 80% and you have an end-use efficiency of 60% for the vehicle you are still talking about only 48% total efficiency of electricity generation. The capture, storage, compression, transportation and other significant issues of hydrogen, (like hydrogen embrittlement of metal defects, welds and joints) as well as the massive amounts of leakage observed from hydrogen systems (H2 is the smallest molecule in the physical world) results in far less efficiency than the 95% end use efficiency of Li-Ion batteries and without the Hindenburg Effect that your preferred system poses. if anyone is drinking koolaid it is you, my friend. Electrolysis is not the only inefficiency loss in a fuel cell setup. There are also loses during hydrogen storage and during electricity use. 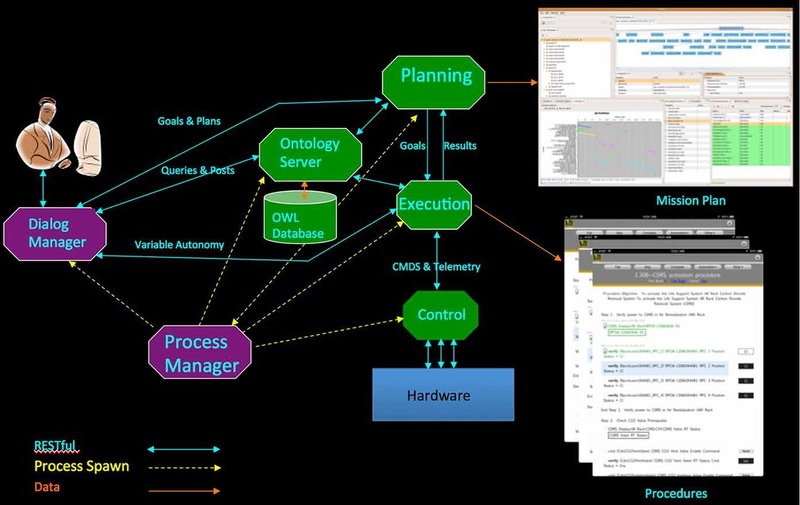 There is also higher maintenance and complexity. When you add all the inefficiencies from power to final load, batteries are the more efficient form of electricity storage. However I think fuel cell might be worth it for stationary storage as most of the inefficiencies can be reduced by scaling. just having hydrogen doesn't do a thing for you, you have to USE the hydrogen. current U.S. Department of Energy analysis show that the theoretical MAXIMUM efficiency of a hydrogen fuel cell is between 40% and 60%. AIG: Total Assets: $498 Billion. On May 15, 2006, American International Group (“AIG”) became the first U.S. insurance company to publicly address climate change as a risk and formally outline its corporate policy and programs regarding the issue. As a leading provider of Property and Casualty (“P&C”) insurance in the U.S., AIG is directly exposed to the risk of insured losses resulting from severe weather. According to Allianz, one of AIG’s competitors, “climate change stands to increase insured losses from extreme events in an average year by 37 per cent within just a decade”. Given this threat, the players in this market have focused on limiting their financial exposure to high-risk areas, either by canceling or not renewing policies or by increasing deductibles, reducing limits, and adding new exclusions to policies. As a major global reinsurer, Swiss Re has had a major role in the climate change debate for over two decades. For a reinsurer, climate change constitutes a key risk because it can lead to an increase in the frequency and severity of natural catastrophes such as floods, storms, excessive rainfall and drought. In combination with growing asset concentrations in exposed areas and more widespread insurance protection, this will cause a rise in losses. Since detecting the long-term threat posed by climate change more than 20 years ago, we have been an acknowledged thought leader on the topic. Munich Re: Munich Re Group or Munich Reinsurance Company.. It is one of the world’s leading reinsurers. ... Find me an insurance company that does NOT charge based on risk! Anyone that does not accurately base their premiums on the risk of payout, will probably be out of business soon. Interesting note here : The video by Bjorn Lomborg is produced by Prager University. Threat to USA Grain Harvests - depletion of the Ogallala Aquifer. I have been watching this for over 20 years. The grain-growing region in the High Plains of America—known as America’s breadbasket—relies entirely on the Ogallala Aquifer. But long term unsustainable use of the aquifer is forcing states in the region to face the prospect of a regional economic disaster. A really good article on why US shale oil and gas producers may be in real trouble. It explains free cash-flow very well and why when it's negative it is really bad news for the shale industry while can be just normal for a new business, e.g. TESLA, as it builds itself into long-term profitability. The shale oil industry in the United States is using investor money to subsidize oil consumers and to line the pockets of top management with no long-term plan to build value. NeilT and zizek, are you now going to continue slinging insults at each other? Well, if you are, this is the wrong thread for it. This thread is for mainly posting articles, videos, opeds, etc, that posit that either Tesla is going to make it, or is going to fail in the biggest sea of flames in history. I went EV hunting last week, in Germany, and came back yesterday with a Mitsubishi i-MiEV (from 2017). It was a really good deal, and only 10 km from where my best friend lives. Given that I will probably be able to sell it without a loss two years from now (because second-hand cars are much more expensive in Austria than in Germany), I just had to do it, fed up as I was to emit 135 grammes of CO2 per kilometre driven with our Opel Combo CNG. The range is quite limited on the i-MiEV, and so I didn't go anything near 200 km/h. More like 80-90 km/h, safely hiding behind a truck. That way I drove 300 km from my friend's home to visit my mother in the Netherlands (fast-charging every 50-70 km), and back again a few days later, followed by another 300 km to Hamburg where I put the car on a special night train that brought me to Vienna. Then it was another 160 km to my home. I almost got stuck a couple of times, expecting more range, but conditions like driving style, temperature, weather, tire pressure, all have a huge influence that I underestimated. Fortunately, I was able to improvise every time, and extremely lucky to have a (slow) charging station nearby. Mind you, I don't have a smart phone, which complicated things even further (although I did have a small tablet with me, with no SIM card, and thus entirely dependent on free wifi or the good will of some company). During my first tight situation, I was extremely lucky to find a private charging station, where the owner gave me a heap of tips as well as his charging card (I had ordered two that covered everything, but they hadn't arrived in time, so all I had, was an app on my - mostly offline - tablet). In hindsight, this was nothing short of a miracle. Now I have to figure out what the best way is to get from my house to Graz and back, twice a week. In theory, the i-MiEV can make the 120-130 km round trip (when conditions are good), but in practice I will need to charge somewhere, if only for an hour or two. But I'm glad to be home. You don't want to be stuck along the Autobahn, 1000 miles from home. I have a awful feeling that maintaining the status quo but with a green "twist" is going to be an utter failure. I can't help but to think that solving the problem with the techniques that got us into this mess is a really bad idea. I generally agree with this comment. Green BAU cannot solve the world's problems quickly enough and/or thoroughly enough, and on its own will end in failure. Other solutions are required as well - sharply reduced consumption, sharply reduced pollution, and reduced population (sharply reducing births). What I fail to understand is why so many hate Tesla for trying to build some kind of partial solution, as if they are to blame that other more thorough, quicker and more correct solutions are not implemented. Blame politicians, and even more blame the general public whose priorities dictate all this, and/or who lets distractions and expensive ads to sway its votes. The claim that because of Tesla all those simpletons lose sight of the real problem is pure nonsense. But something did happened. Acceptance at the highest level. Acceptance is the first step. For instance there are approximately 26m residential homes in the UK. If we were to put 2Mw/h capacity in each home that is 52 Tw/h of capacity. Nuclear decommissioning looking so expensive now?? I have great respect for your contributions here and in other threads to inject some real calculations to help us grasp the scale of efforts required to wean our civilization from fossil fuels (or die trying, as we seem to be aiming for). I hope to be able to return the favor and point out that your math seems to be off here. 52 trillion watt hours, 52 TWh, at $100/kWh (or $0.10/Wh) = $5.2 trillion, not $10.4 quadrillion. Somehow, you are off by a factor of 2,000. Not sure how, exactly, but British vs American usage of trillions may be part of it. Another way to look at it - if every household had a car with a 100 kWh battery pack, plugged into the grid with Jim Hunt's bi-directional charging equipment, that would be a similar scale of investment in storage capacity. We already replace the auto fleet every decade or two, so we should expect BEV to start taking up some of the storage duties at no additional cost as they replace FF ICEs. Tesla did "promise" 5k model 3/week a long while ago, and even though it's happening in certain weeks, the average rate has still not reach that threshold in Q3. Tesla knew ahead of time that it was not going to happen, hence the guidance for 50-55k model 3 in Q3, rather than 65k or more. My take is that it's more difficult to scale up than they thought. The plan of full automation was ahead of its time, partly due to their lack of experience in mass production, and Elon's grand vision which in this case was a bit too much. And I'm sure supply chain management (and delivery chain) contributed as well. However, I think the constant criticism is unjustified. They moved the schedule 2 years ahead, and they rolled it about 1 year back. Elon made grand promises and then had trouble living up to them (though he didn't admit it), but this pales in comparison to the actual achievement of making the first profitable + highly desirable + mass market EV. Calling this a scam is nonsense. I expect that once they gain experience with the current rate of manufacturing, they'll be able to engineer away the bottlenecks and streamline costs, hopefully resulting in the "base" version launch in the next few months. It’s worth pausing to celebrate this rare but strong example of Tesla being two full years ahead of schedule on the timeline it originally set out for the Gigafactory back in 2014. From an initial 2020 target, we now find the 35 GWh annualized production volume goal looks set to be achieved by the end of 2018. That’s 4 years to reach a goal that was initially planned to require 6 years. Tesla and Elon Musk have come in for a lot of flack recently, but the progress on the ground at the Gigafactory should serve to remind us that — away from the negative press and frequent skepticism about the revolutionary company’s broader mission — Tesla is achieving remarkable goals to accelerate the move towards sustainable transportation and energy.